Everyone has heard the clich©s – stocks always go up, hold for the long term. 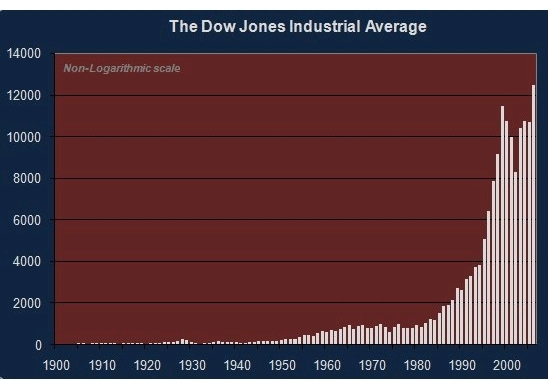 Many have even seen the long-term charts showing how $1,000 invested in the Dow Jones Industrial Average (Dow) in 1900 is now worth $175,000. The Toronto Stock Exchange (TSX) is highly correlated to the Dow, and shows a similar performance. Part of the buy-and-hold misconception arises from the visual illusion created by using a long-term chart that does not use a logarithmic scale. It minimizes volatility, and gives the impression of a smooth, continuous rise. To reinforce this belief, Wall Street points to the attractive performance equities have achieved over the past 20 years. This approach is misleading, since it uses only one cycle that happens to reflect an extraordinary bull market in equities. If previous cycles are examined a different picture emerges, one that shows the next 20 years are unlikely to be a repeat of the last 20 years. Long investment time-frames of 50 to 100 years may work for institutions or multi-generational family wealth, but they do not apply to individual investors. Most individuals have only about 25 years – typically between ages 40 and 65 – to build their investment portfolios. Because financial markets are cyclical, lasting approximately 20 years, each asset class (stocks, bonds, real estate, commodities and precious metals) experiences its own bull and bear market cycles. Accordingly, it is critical for individuals to identify which asset classes are likely to outperform during the current cycle, and adjust their portfolios accordingly. Failure to do so may necessitate postponing retirement, or having to make do with a lower standard of living during retirement. Holding an asset class after a cyclical trend change has occurred has not been profitable for investors in the past. Assuming the 25-year portfolio-building time-frame previously referred to, an investor aged 50 during the stock market boom that ended with the crash of 1929 waited until 1954 just to break even. In real terms, using the Consumer Price Index (CPI) to measure inflation, that investor did not break even until 1958, at 80 years of age. 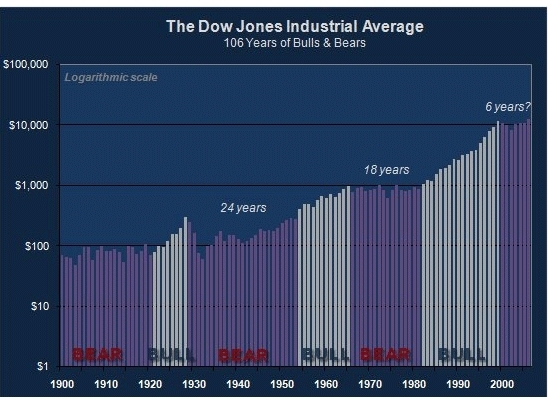 During the immediately preceding bear market cycle in equities that started in 1968, the Dow exhibited significant volatility but nevertheless ended at 985 in 1982 – the same level it attained in 1968. Because this was a high-inflation period, it would have taken until 1995 to break even if the Dow’s performance was CPI-adjusted. An investor aged 50 in 1968 would have been 77 before breaking even in 1995 and, more importantly, would have missed one of the greatest commodity booms ever experienced. From During 1971 to 1980, gold rose by 2,300%, silver by 2,400% and platinum by 900%, while oil rose 900%. Similar cycles can be seen in other asset classes and markets. After a 20-year bull market, the Japanese NIKKEI Index peaked at 38,900 in 1989. Seventeen years later, it is still 56% below that high. It took 14 years for real estate in Canada to once again reach the highs made in 1989. Although gold has more than doubled in price from its 2001 low, it still has some way to go before regaining the $850 per ounce peak attained in 1980, and is far from its inflation-adjusted equivalent of $2,080 per ounce. Investors who have experienced only one asset cycle find it difficult to abandon the comfort zone of their past investment paradigm and dramatically rebalance their portfolios in order to align them with the new trend. Successful investing requires correctly identifying new trends rather than simply assuming the continuation of past trends. In 1968 it would have been psychologically difficult for most investors to make the switch from equities to tangible assets in order to benefit from the trend change. The previous 38 years were excellent growth years for both the North American economy and the equity markets; the Dow rose from a low of 44 in 1935 and climbed 915% to 985 by 1968. The TSE experienced similar results, rising from 132 to 1,067. Commodities rose modestly during this period because inflation was tightly controlled. There was little or no expansion of the money supply because the US dollar, the world’s reserve currency, was backed by gold until 1971. Many investors’ only experience with stocks and bonds had been a positive one. Life was good and complacency high. The next 15 years, however, would not be so rewarding for investors who did not recognize the trend change and did not rebalance their portfolios. Similarly, investors who were overweight precious metals, oil and gas in 1980, and did not realize that a trend change had occurred, did not do well during the next cycle. If they maintained their positions instead of rebalancing to be overweight financial assets, their portfolio suffered. While all portfolios should always hold at least 5% in bullion for diversification and portfolio insurance, investors who were overweight in precious metals at that time are still waiting to break even. In addition, they missed a major bull market in financial assets and real estate along the way. Today’s situation is similar to that of the early 1970s. Most investors’ experience with investing is based only on the last cycle. According to a survey conducted by Investment Executive, most financial advisors have been in the business less than ten years, or the last half of one cycle. During the past 25 years, the North American stock market has experienced one of the longest, highest-running bull markets in history, with the Dow rising 1,100% from 985 in 1982 to 11,723 in 2000, and the TSX rising 489% from 1935 to 11,389. The high-tech NASDAQ delivered even better results, rising 2,100% from 250 to 5,500 during the same time period. Just as in 1968, today’s investors are complacent, and convinced that equities will continue to provide superior returns during the next 20 years. They feel decline experienced in 2000-2003 is behind them, that the worst is over, and they look forward to continuing new highs that will increase the value of their portfolios and provide for a comfortable retirement. What is critically important to understand is that the bull market that began in 1982 is not the norm – it is just one cycle. The next cycle, which should last about 20 years, is unlikely to be a repeat of the last cycle. North American equity markets are more likely to experience a significant correction, or remain in a trading range similar to that of the 1970s, rather than repeat the performance of the past 25 years. A repeat of the past bull market would require the Dow to rise to 140,000 from its current level of 12,000. For those with a with an investment horizon of 50 years, a buy-and-hold strategy today may eventually succeed, but the investor will miss out on a bull market in commodities and precious metals. Baby boomers, however, cannot risk being in the wrong asset class during this cycle. This cyclical analysis is supported by a fundamental examination of the current economic conditions. The inflationary impact of rising oil prices, the beginning of a US real estate crash, the recessionary implications of an inverted yield curve, rising geopolitical tensions, record-high debt at all levels, unsustainable derivatives positions and massive increases in the money supply of most countries are conditions unlikely to foster a continuation of the equity bull market. The baby boomers, representing the largest percentage of the population in Europe, Japan, Canada and the US, will be downsizing their homes and liquidating their investment portfolios over the next 20 years in order to supplement their retirement income. Over the next 25 years, the $44 trillion of unfunded Social Security and Medicare obligations in the US will have to be dealt with as the baby boomers retire. The US will be forced to create ever-increasing amounts of money to fund these obligations, since reducing benefits or raising taxes are not politically acceptable alternatives. Increasing the money supply to fund budget deficits, current account deficits and unfunded liabilities will accelerate the decline of both the purchasing power and the exchange-traded value of the US dollar. In an attempt to maintain export competitiveness, most other countries will be forced to increase their own money supplies, a trend that is already established. This will lead to continuously rising inflation, and increasing precious metals and commodity prices. 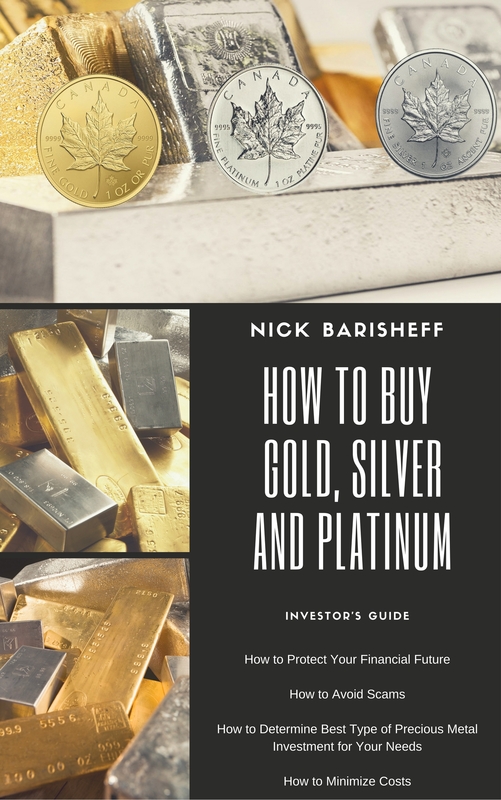 According to a study by Ibbotson Associates, a properly balanced and diversified portfolio should already contain an 8-15% allocation to precious metals in bullion form to improve returns and reduce volatility. Since precious metals are the most negatively correlated asset class to traditional financial assets, this minimal allocation will provide a degree of portfolio insurance and protection from unexpected financial crises. Ibbotson, however, took a very long strategic view and did not attempt to factor in the current imbalances and vulnerabilities mentioned above, nor did it factor in any increases in inflation due to increasing money supply. 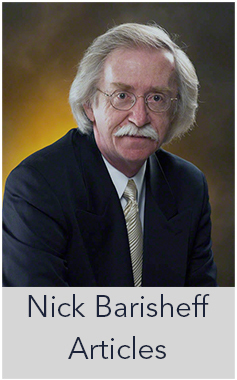 It did confirm that, during the 1970s, a time of high inflation, precious metals was the best-performing asset class for the entire period. David Ranson, president of Wainwright Economics, a Boston-based investment research and strategy firm, has determined that the CPI currently understates real inflation, which is probably closer to 8% than the officially reported rate of 2.5%. His views are corroborated by John Williams, an economist who uses the pre-Clinton-era formula for determining CPI, and also arrives at an inflation figure of 8%. During high inflation periods, instead of being “safe” investments, bonds will generate real losses in purchasing power as their after-tax real rates of return will be far lower than the true inflation rate. In addition, stocks suffer during high inflation cycles, as they did in the 1970s. 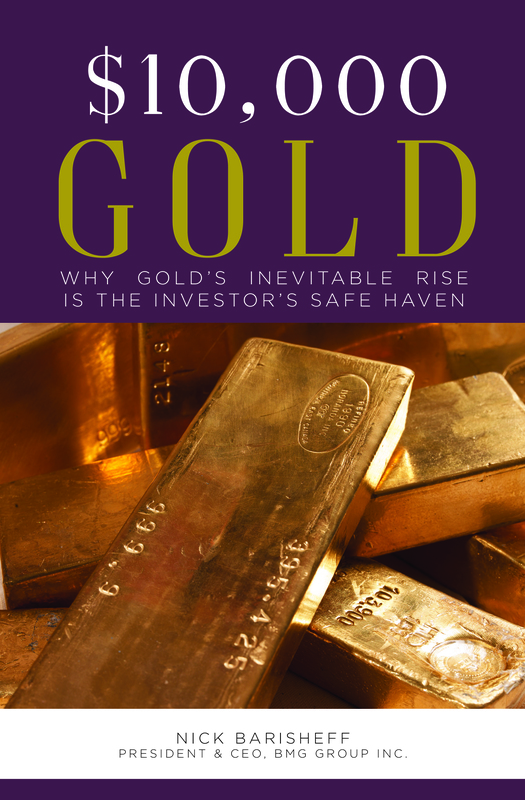 In order to immunize a bond portfolio from inflation, Ranson concluded that an 18% allocation to an equal weight in gold, silver and platinum bullion is required. For an all-equity portfolio, a 47% allocation is required. Today’s typical “balanced” portfolio, consisting of 60% equities and 40% bonds, will simply lose value year after year in real terms during the coming high-inflation cycle. If the stock market experiences a major correction, or there is an unplanned currency or financial crisis, the time required to break even may end up being longer than most investors’ life expectancy. While the media and Wall Street celebrate the fact that the Dow reached new highs in 2006, gold, silver and platinum all significantly outperformed traditional financial indexes during that year. Although the Dow has reached new highs, it is now worth less than 50% of its 2000 value in gold terms. These are clear indicators that a cyclical trend change occurred in 2000 and that, in all likelihood, this trend will take another 15 years to fully evolve. Instead of simply holding for the long term, dramatic portfolio rebalancing during cyclical trend changes will yield superior results. Simply holding traditional financial assets during this cycle may prove disappointing at best, and catastrophic at worst. To mitigate the ravages of inflation and insure portfolios against unexpected crisis, investors need to rebalance portfolios with greater weights in tangible assets, with particular attention to oil and gas, uranium, water utilities and precious metals mining stocks. For adequate diversification and hedging, every investment portfolio should be built on a foundation of 7-15% in physical bullion. To profit during the current cycle, or just to stay even with true inflation, much higher allocations are necessary.